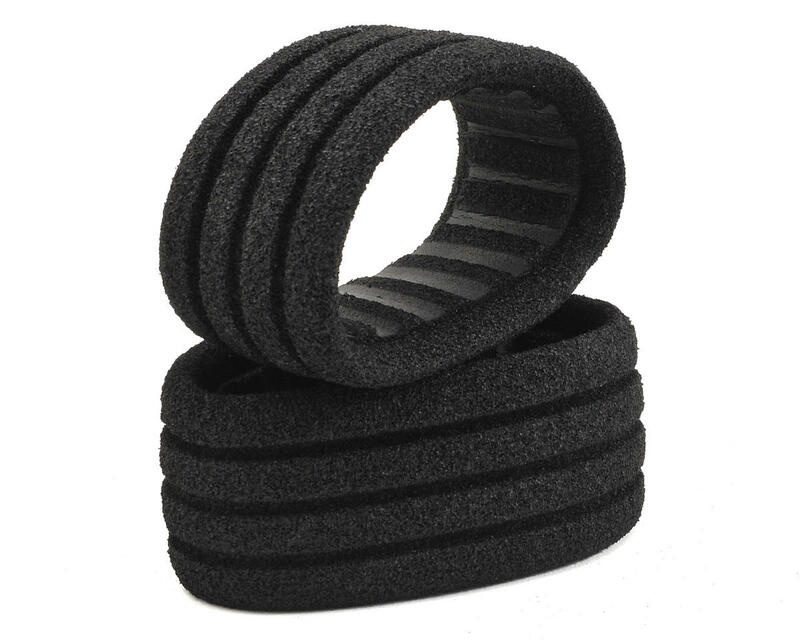 AKA Racing Black "EVO" 1/10 Buggy Closed Cell Rear Tire Inserts are ideal for smooth, high-grip tracks and very warm ambient temperatures (90F/32C+). 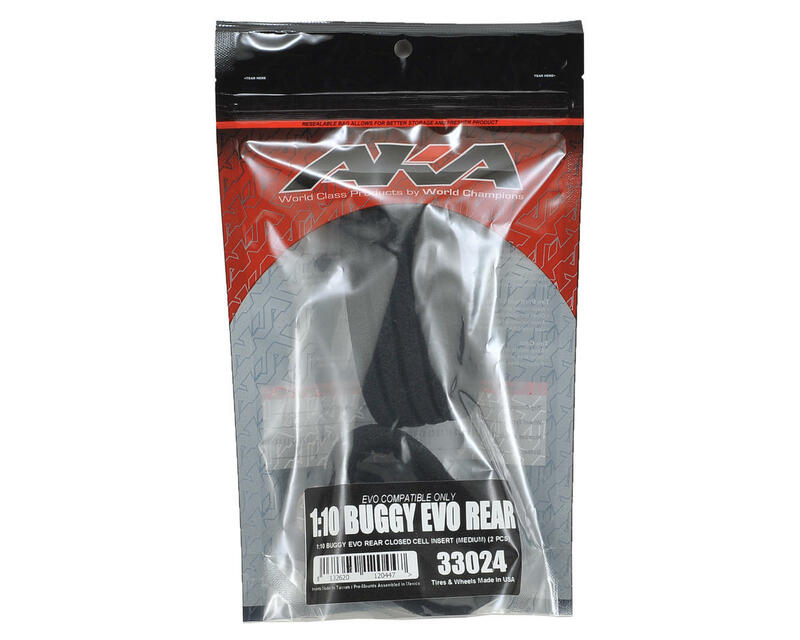 AKA, the pioneer of the closed cell insert, has developed an insert specifically for use with AKA EVO 1/10 scale buggy tires. These inserts were designed to decrease the lateral deflection of the tire while at the same time increasing vertical impact absorption, to provide better handling in the bumps.